The Joint Entrance Examination – Advanced (JEE – Advanced), formerly Indian Institutes of Technology Joint Entrance Examination (IIT-JEE) is an annual engineering college entrance examination in India. It is used as the sole admission test by the 23 Indian Institutes of Technology (IITs). The examination is organised each year by one of the various IITs, on a round robin rotation pattern. It has a very low admission rate (about 10,000 in 660,000 in 2012), and was thus recognised as one of the toughest examinations in the world. In 2013 the exam, originally called the IITJEE, was renamed as JEE – Advanced, along with the AIEEE being renamed JEE – Main. From 2017, IITs will start conducting JEE internationally to give admission to international students. What is NEET Entrance Exam? 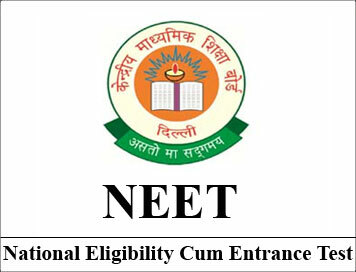 The National Eligibility and Entrance Test or NEET-UG is an entrance examination in India, for students who wish to study any graduate medical course (MBBS/ dental course (BDS) or postgraduate course (MD / MS) in government or private medical colleges in India.NEET-UG (Undergraduate), for MBBS and BDS courses, are conducted by the Central Board of Secondary Education (CBSE). NEET-UG replaced the All India Pre Medical Test (AIPMT) and all individual MBBS exams conducted by states or colleges themselves in 2013. However, many colleges and institutes had taken a stay order and conducted private examinations for admission to their MBBS and BDS courses. Undergraduate courses at the All India Institute of Medical Sciences in New Delhi, Postgraduate Institute for Medical Education and Research in Chandigarh, Jawarharlal Institute of Postgraduate Medical Education & Research JIPMER are outside the NEET’s purview, as these institutes were set up by separate laws.